Hire a rapid deployment ANPR speed radar camera from Roadside Technologies Ltd. 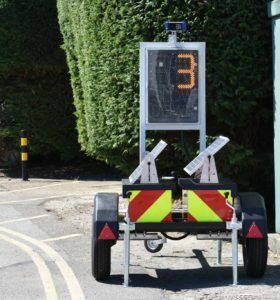 The Speed Sentinel is the industry’s first stand alone, Portable Solar Powered ANPR Speed Enforcement trailer designed for use within private sites or community speedwatch groups for speed monitoring and enforcement. The Speed Sentinel offers a complete solution to enforce your speed limit on site autonomously. Once deployed it will continuously measure approaching traffic at a maximum distance of 100 meters away. The highly visible LED display will measure and display the approaching vehicles speed. If the vehicle goes above the speed limit a SLOW DOWN module will illuminate. 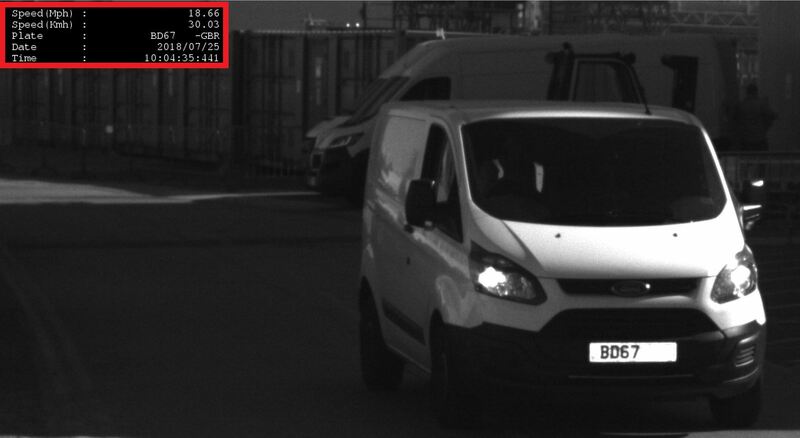 Within 15 meters, should any vehicle continue to violate the pre-set speed limit, a capture will be produced with an image including number plate, speed, time and date stamp. This data will be stored locally and can also be streamed over 4G or Wi-Fi network to a security gate house or the relevant personnel for the appropriate action. The images can be streamed over within seconds prior to the offending vehicle reaching their location and being met with photographic evidence of the offence. Fitted with an ANPR (Automatic Number Plate Recognition) camera, it can clearly record any speed violation in much the same way as a speed camera on the UK Highways network for the Police. Data processing is done on board the trailer and then streamed in real time for review by the appropriate personnel to a host of platforms such as private FTP. Requiring no mains power, the Speed Sentinel runs from batteries within the trailer which are recharged by on board solar panels. Options are available for longer run times with alternative energy fuel cells through the winter months. Once deployed on site the wheels and tow bar can be removed for maximum security. The Speed Sentinel ANPR Speed Camera doesn’t have HOTA (Home Office Type Approval) for speed enforcement prosecution on the UK Highways Network.